Truffles are a fungus that grows on the roots of trees. In some manner, they are parasitic to the tree and gather carbohydrates from the hosting tree. Truffles have been a delicacy since ancient Roman times and were referred to by Apicius in his cook book "De re Coquinaria." 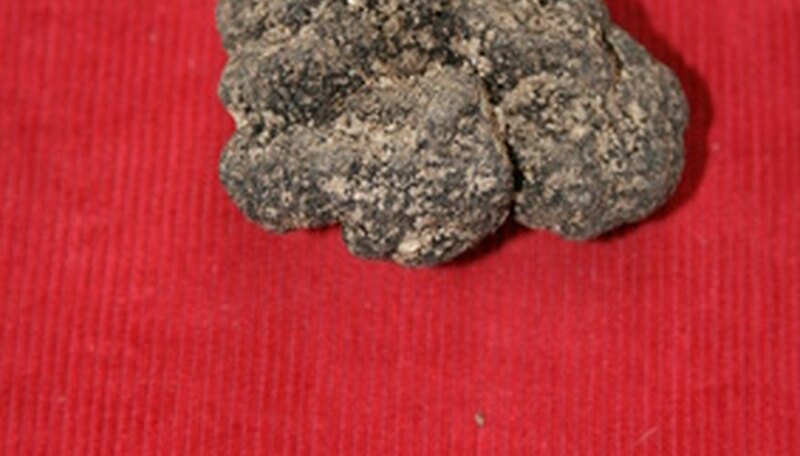 Growing your own truffles can be a difficult process if you do not know how to inoculate the spores properly. Preparing for inoculation is the most important step of germination for truffles and other mushrooms. It hydrates the spores and begins the growing process. Sterilize your work space by spraying a disinfectant on all surfaces you will be working with. Allow the disinfectant spray to stand according to the directions on the bottle then dry with a sterile towel. Your work environment must be completely sterile to avoid contamination while preparing the inoculation syringe. Sterilize the water by placing it into a glass container, such as a beaker or canning jar, and then submersing it in a pressure cooker for 30 minutes at 15 PSI. Remove the water filled beaker or jar from the pressure cooker and allow it to cool completely to room temperature. Sterilize your knife and tweezers by holding them over a heat source, such as a gas burner, lighter or blow torch, for 30 seconds. This process will kill any germs, fungus or bacteria on the knife and tweezers. Scrape some spores from your spore print with the knife to loosen them. Allow the spores to fall into the sterile water container. Stir the spores around in the water so that they are evenly distributed throughout the water. Insert your clean syringe into the spore water and fill it with the spore water. Put a cap over the syringe and place it into a clean plastic seal-able bag. You must wait for the spores to be hydrated before using them to grow truffles. This can take anywhere from 24 hours to 3 days. A prepared inoculation syringe can be kept in a refrigerator for up to 6 months.